For IT specialists, system designers and network administrators, the AWS Architecture Diagrams solution offers a wide range of recognizable graphic icons to help illustrate a diagram, as well as a helpful selection of templates and samples to model a design on. Architecture diagrams are a great way to communicate your design, deployment and topology. Here you will find an official collection of AWS resources that will help you build great AWS Architecture diagrams. 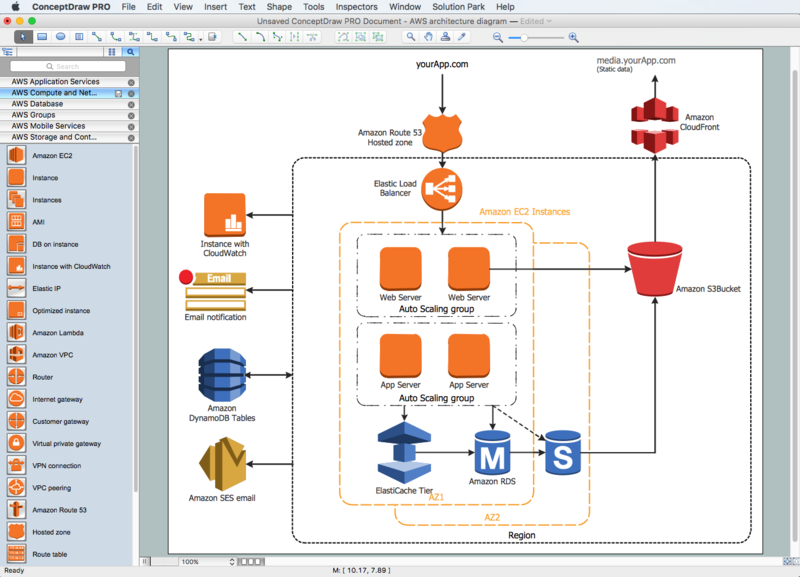 This diagram was created in ConceptDraw® PRO using the AWS® Architecture Diagram library from the Amazon Web Services Architecture Diagrams solution (AWS solution).